Homage to slasher films of the 70s and 80s. Ten years ago, a high school freshman named Melody Malone was brutally assaulted during an alcohol-fueled hazing incident by fellow cheerleaders and members of the football team. The trauma left Melody in a coma-like state, confined to a long-term care facility where she has remained ever since. The football team and the cheerleading squad were both disbanded following the incident, and for ten years Casper Falls High School has gone without. Present Day. Ann Howard's life is one of transitions. As a transgender teen in a small town in Ohio, she has always stood out. Now, as she begins her senior year at Casper Falls High School, change threatens to overwhelm her. After ten years without, the Casper Falls School Board has voted to bring back the football and cheerleading programs. Ann's twin sister, Lauren, her best friend and rock, is a member of the newly reformed cheerleading squad, and her participation with the team is driving a wedge between the siblings. Lauren is around less often, and some within her new circle of friends are Ann's cruelest tormentors at school. 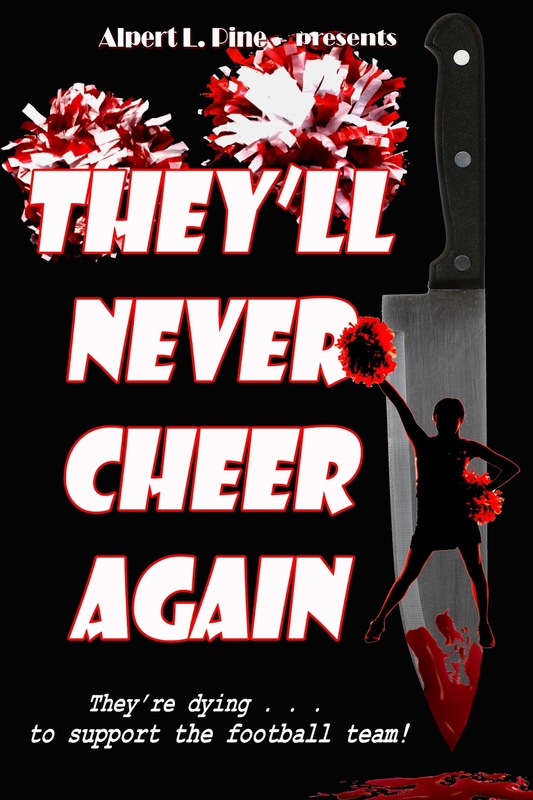 Meanwhile, a murderous force has awoken, intent on vengeance and driven by a single, powerful mantra: They Will Never Cheer Again. Available in print and electronic editions Halloween 2017.